The Denver Broncos have had their fill of Brock Osweiler, apparently, because they’re reportedly sticking with Trevor Siemian under center in Week 14. 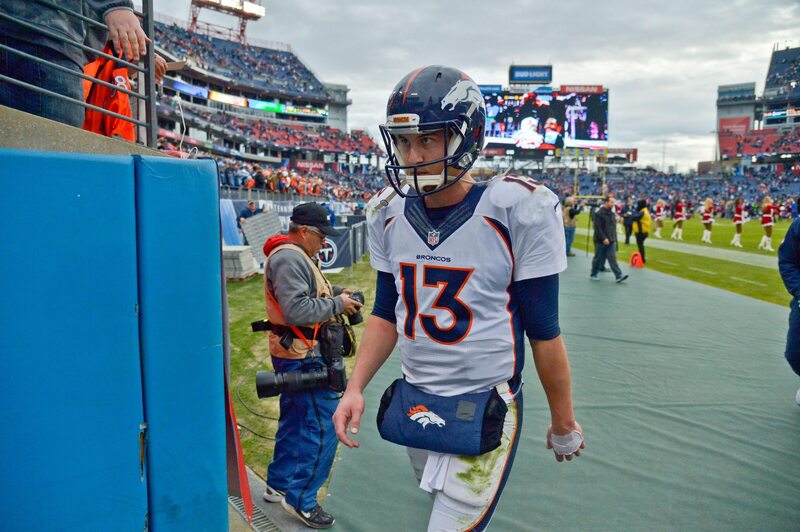 This is newsworthy indeed given the atrocity of Siemian’s last performance Sunday in Miami. The third-year quarterback completed just 19-of-41 passes for 200 yards with no touchdowns and three interceptions (including this awful pick-six) while managing to lead just one scoring drive in the game, which ended in a field goal. He also was making mistakes that came without any pressure. When Siemian had a clean pocket last night he was 15-31 for 176 yards, 0 TD, all 3 interceptions, and a 26.5 passer rating, per PFF. Mind you, this was against a Dolphins team that had been getting torched in recent weeks by the likes of the Baltimore Ravens, Tampa Bay Buccaneers and Carolina Panthers — offensive juggernauts they are not. Though, with Paxton Lynch still on the shelf after being injured in Oakland during Week 12, it’s either Siemian or Osweiler. And at this point, it seems clear the Broncos have realized Osweiler is nothing but fool’s gold, too. With a record of 3-9 heading into their Week 14 matchup against the New York Jets, it really matters not who starts under center — Denver’s season is already in the toilet.